Enjoy energy that others will envy! Order Fatigue: Causes & Relief…Natural Remedies to Boost Energy Levels today. Discover how you can live protected from fatigue with greater, lasting, and more resilient energy! Fatigue: Causes & Relief comes to you from the resources of University Health News, trusted for meaningful guidance to help men and women enjoy fuller, healthier, and longer lives. You can live free from fatigue. You can enjoy renewed and abundant energy. And you can do it naturally and successfully starting now. This new report will show you how. More than a “pep” talk, the report is an action plan! You’ll learn proven, practical strategies to halt the nine major causes of fatigue. You’ll read how, with smart, simple measures, you can maintain physical and mental energy to live life to the fullest. You’ll be able to identify the seeds of your fatigue. You’ll weigh how such factors as stress, poor sleep, a changing hormone balance, and even your diet may be draining your energy. University Health News editors will share specific, essential, and effective steps to break fatigue’s grip and show how, day-by-day, you can add years of extra and ready energy. Plus, you’ll discover exercises that add to your energy reserves. You’ll find five keys to ease energy-sapping stress. And, you’ll get a five-step plan to jumpstart your natural energy in just days. 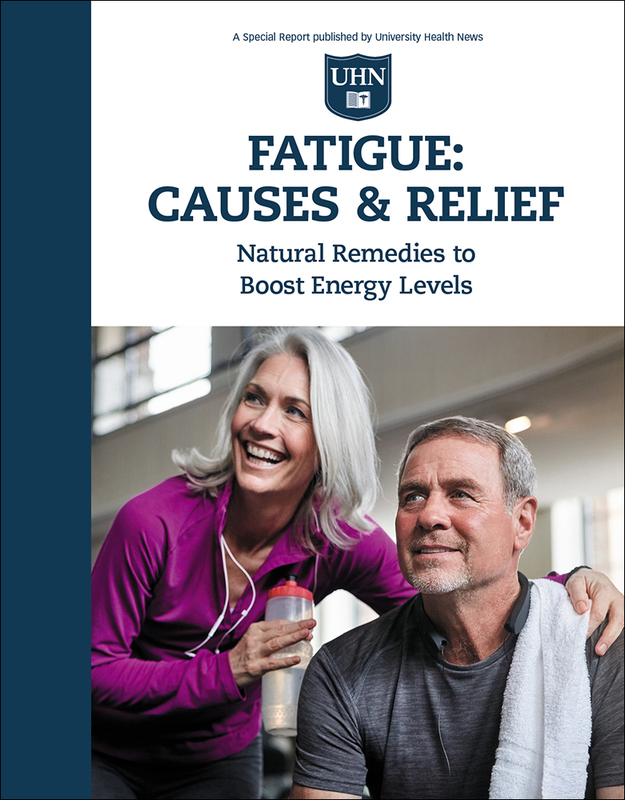 Fatigue: Causes & Relief: Natural Remedies to Boost Energy Levels now!